It´s already this time of the year – Christmas is about to start in approximately one month. I´m kind of that person who wants to occupy myself with Christmas stuff as late as I can – but this year I found something perfect for a Christmas present - I have to tell you right away. I’m normally that guy who keeps having the same men’s care products for as long as possible. Because when something works – why should I change it? But in this case - it is different. I’ve first heard from RITUALS a couple years ago, but never really tried the products because I was happy with the ones I’ve been using. That changed a few weeks ago - I got this men’s care box and I was very excited, so I had to try the new stuff. And now I can say – I am a big fan of RITUALS. Every single product I’ve tested so far is fantastic! From the SAMURAI energizing face balm over the YUZU foaming shower gel, every single piece is worth it. But my personal favorite is the SAMURAI cool scrub, because of the volcanic clay and the organic bamboo - the skin feels super fresh and clean after the application. 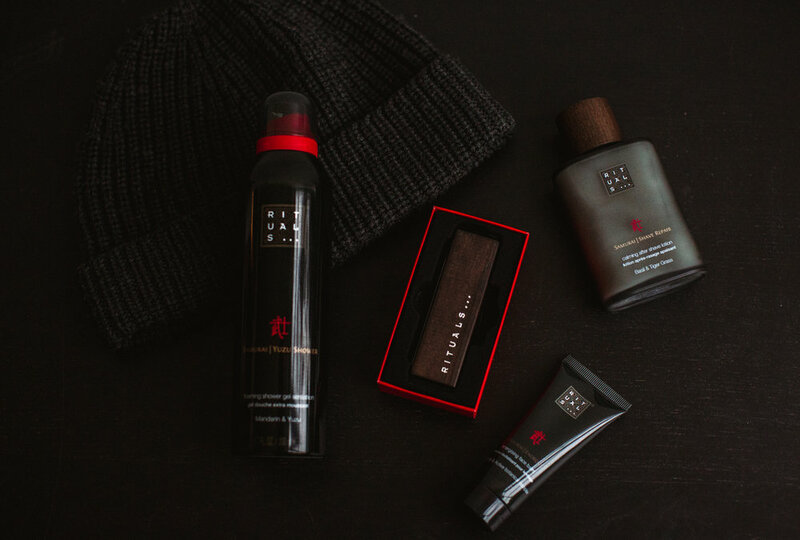 All in all, I can say – RITUAL products are the perfect gift for a modern groomed gentleman.